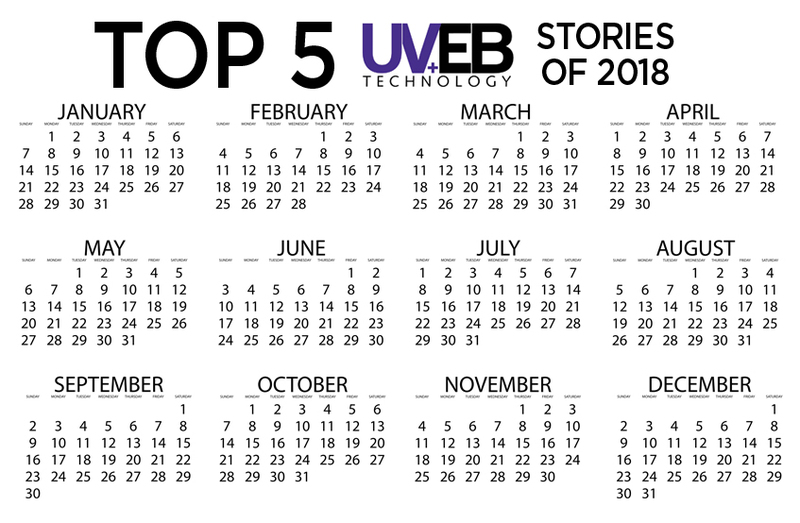 While work on the first issue of 2019 is well underway, we paused to see which UV+EB Technology articles caught the eyes of our readers in the past year. With archived stories going back to 2015, when UV+EB was first published, the website is a valuable resource, and the following stories were the top reads for visitors to the website in 2018. LED sources are rapidly gaining in popularity in the UV-cured coatings market as they offer reduced cost, longer life and environmentally-friendly alternatives to conventional lamps. 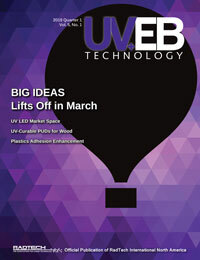 Transitioning to UV LED, however, often requires more than just a simple equipment change. Modifications to the chemistry also might be needed to effectively compensate for the lower energy levels and narrower wavelength range. Electron beam (EB) curing for wide web flexible package printing continues to evolve. Flexographic ink systems have been optimized to allow wet trapping of ink colors cured with a single electron beam unit after the last station in a central-impression press configuration. Long runs with stable printing performance are enabled by new press technology that includes temperature-controlled print stations. The back light unit (BLU) is a core component of liquid crystal displays (LCDs) that are used in notebook computers, smartphones, navigation devices, flat screen TVs and public information display (PID) devices, among many others. To enhance the optical efficiency of LCDs, optical films with a high refractive index have been used in the BLU. In particular, high refractive materials have been the subject of recent investigations to enhance the optical efficiency of BLUs. Since the development of low-voltage electron beam accelerators in the range of less than 300 kV – in particular in the 125 kV range – EB cross-linking has found new applications and markets, particularly in the packaging industry. This report will discuss these markets, along with the properties achieved by electron beam irradiation of polyolefin films used in packaging. The words “driving experience” have grown to mean more to consumers than improved fuel economy, safety or drivability. Cars today are all about providing the driver with an interactive, customizable, luxury experience, requiring new technologies to meet the owner’s demands.